Happy Tuesday! 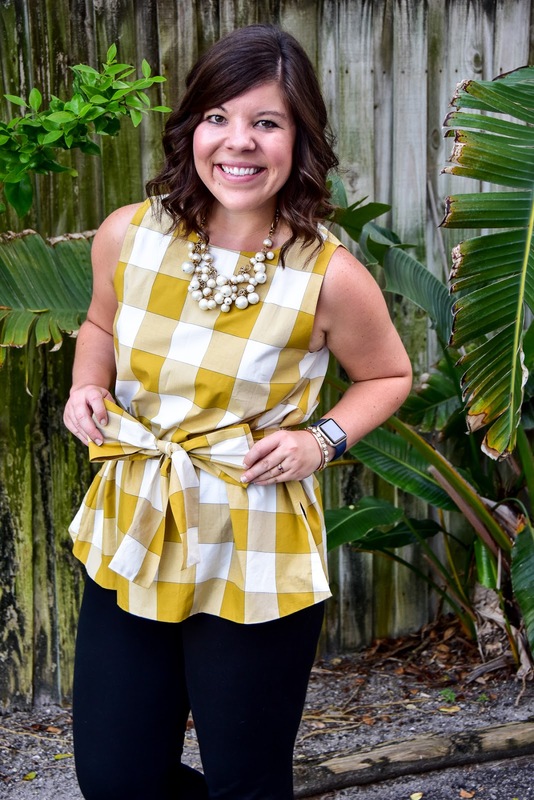 I’m so excited to be back today with another edition of “Workweek Chic”- today showing y’all this darling gingham top & how to make it work appropriate! (It may be one of my favorite pieces in my closet)! 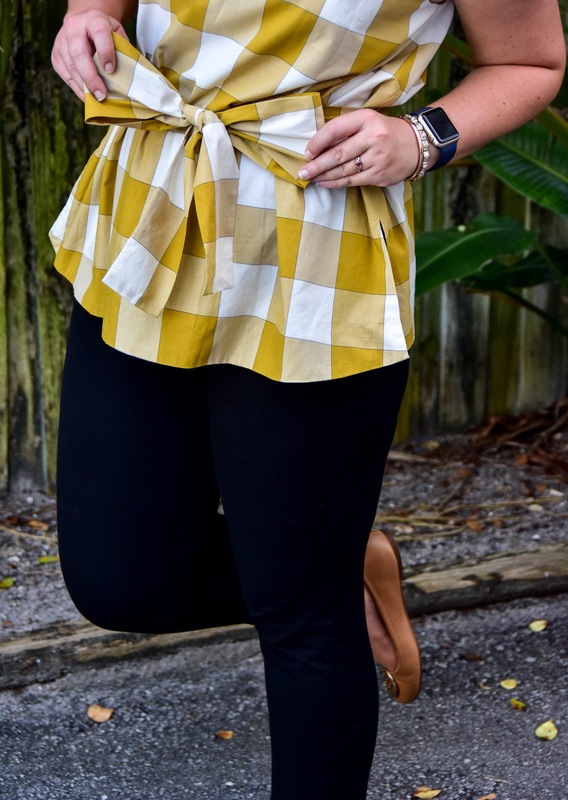 Now I have to be honest: I am a bargain hunter most of this time, so I waited until this top was on super-sale before scooping it up (which means it is now sold out- boo!) However, I have seen it popping up at some of my local AT stores, and you can always scope out Ebay or Poshmark 🙂 In the meantime, let’s chat styling tips! Have a super awesome day y’all! 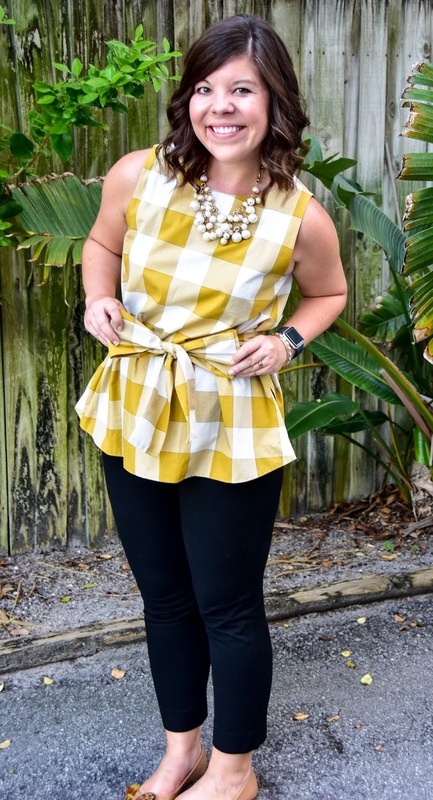 I love this gingham top! It's adorable and will go perfect into fall. Glad you were able to find it! So dang cute!! I almost bought this! You've got me kicking myself now! Love that top! 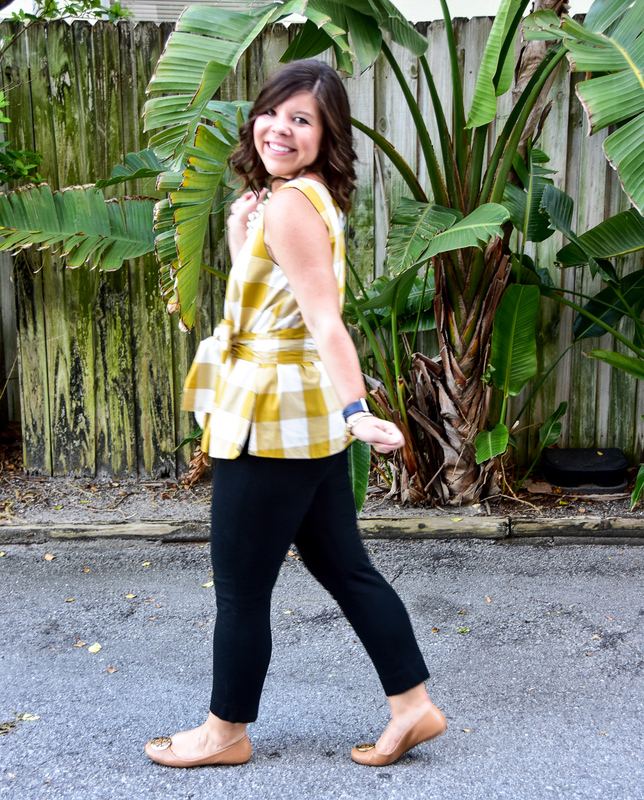 I've been wanting Tory Burch flats for so long and I loved how you styled them! I've been obsessed with that top for a while! Still don't know why I didn't get it, but it looks gorgeous on you! Thanks for linking up each week! What a CUTE top!! 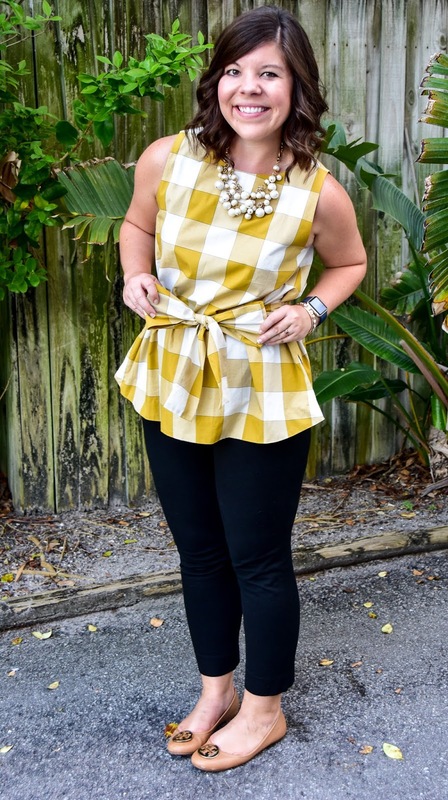 Oh my… anything with bows and gingham and i'm all in! 🙂 You look darling in this and love that you can transition it to work! That top is so fun! 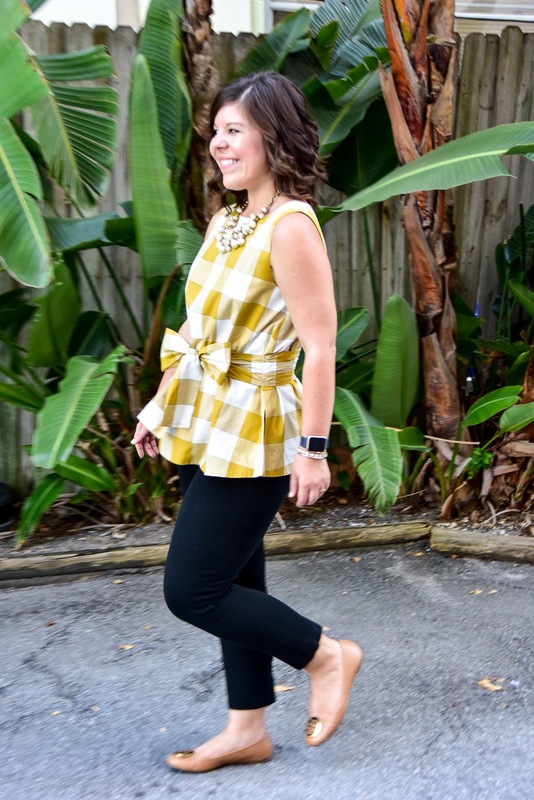 I've really been loving yellow this summer, and this yellow could be easily transitioned to fall too! That is such a cute top! I love the gingham. Such a great top! Love the color and bow detail! 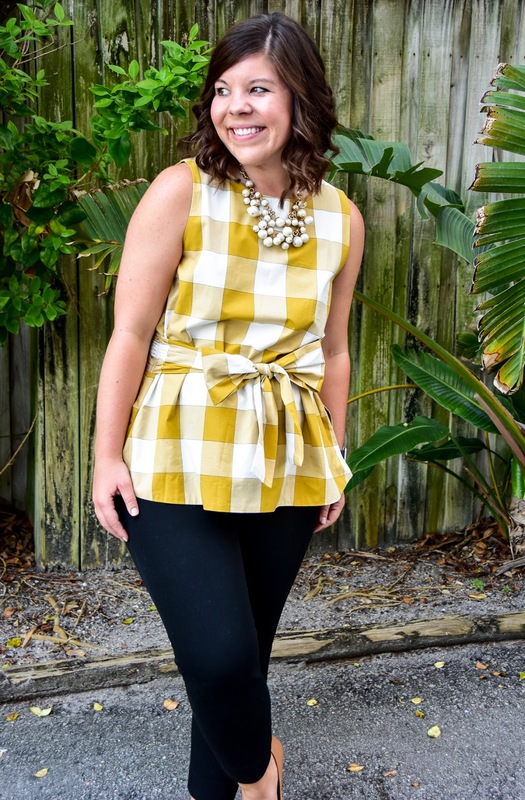 This gingham top is too cute! Love the color! First of all yay for gingham I have become obsessed. Second, I am constantly trying to get inspiration on what to wear to work so thank you for this! Ha! I am with your VP-You look so cute-gingham is a fav of mine too! super cute. love it with the bow, that is right up your alley!